Hector Rivera the outfielder didn't leave much behind after his baseball career. He had two cards in the 1990 season for Gate City. For one of them, his ProCards card, he was misidentified as a pitcher with the same name. Assigned by the Expos to rookie Gate City in his second season, Rivera kind of got his card in the ProCards set. The photo is presumably him. The position and stats on the back are not. His Sports Pro card from that year, the white one with multi stars, got it right. Rivera the outfielder, the one from Puerto Rico, was identified as such, on his own piece of cardboard. For Hector Rivera the outfielder that season at Gate City would be his only real shot at a baseball card. It was his final season as a pro. Rivera's professional career began in 1989, taken by the Expos in the 50th round of the draft, out of Barranquitas High School in Puerto Rico, according to Baseball Reference. With the Expos, Rivera played in the rookie Gulf Coast League. He got into 30 games, hitting just .172. He also played 27 games in the outfield, and one at third base. Cards aren't generally issued for GCL teams. 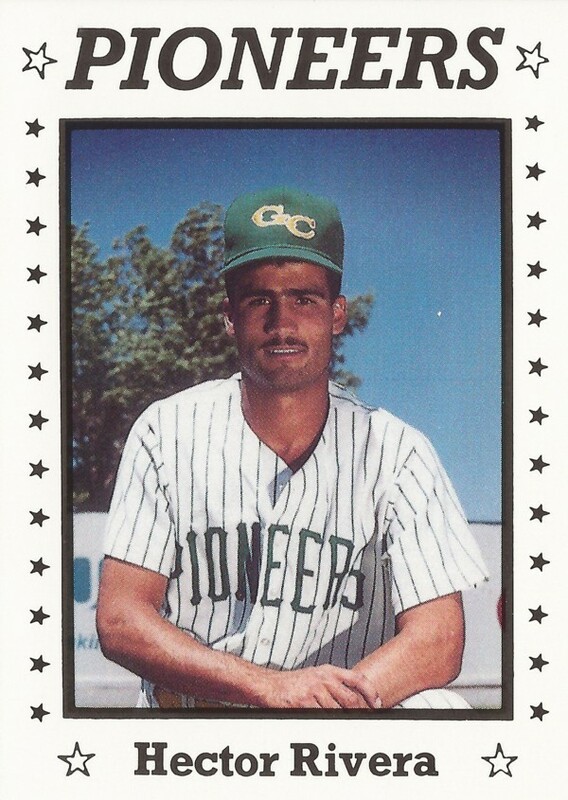 For 1990, the Expos optioned Rivera to Gate City, of the Pioneer League. At Gate City, Rivera got into just 10 games. In 21 at bats, he got just two hits. He wouldn't get any more, his career ending there.